Welcome to IMTips.co! – a blog for developers by a developer. I’m glad you want to leave your job and want to be self-employed freelancer. 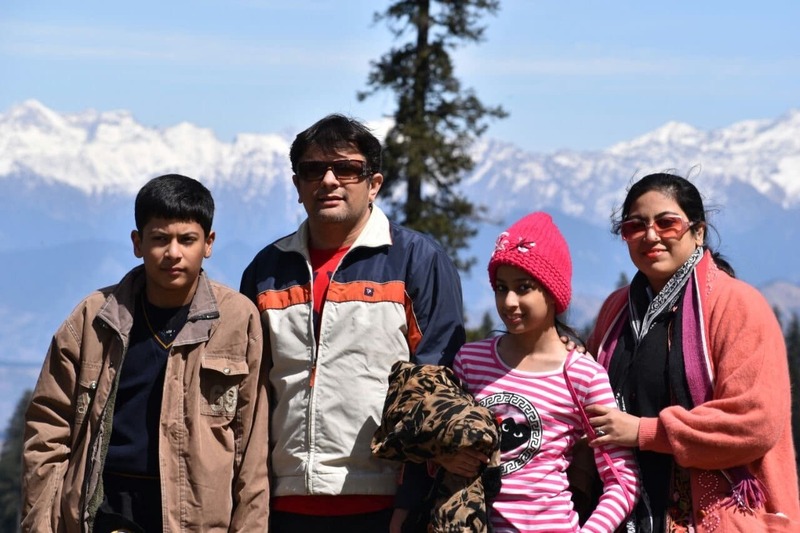 I’m Shabbir Bhimani – A Freelance Developer, Blogger, and an Investor in the Indian equity market. I can help you leave your job and be your own boss. I have a lovely wife and 2 kids and have been an online freelancer working from home for more than a decade now. 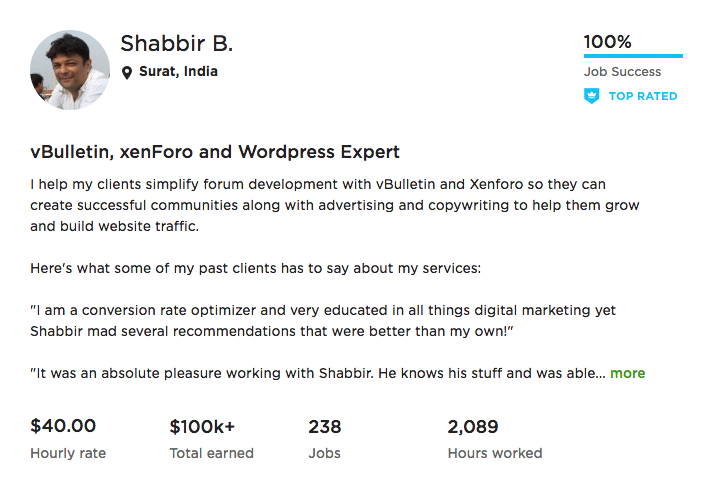 In Upwork alone, I have delivered over $90k+ worth of projects to more than 200 clients and still counting. If you want to know more about me, check out my about page. If you want to quit your 9to5 job and work from the comfort of your home, be your own boss; you are at thinking the right way. In my eBook, I have shared the exact same strategies I use in crafting my proposals to attract hundreds of clients and make thousands of dollars and get paid a much higher hourly rate. All the information can be long and yet overwhelming. It also contains links to many of my articles where I have answered each question about freelancing in detail. So much content for anyone can be tough to consume in one go. So feel free to bookmark this page and revisit it later. Now let us embark on the journey to be a freelancer and so let me start by answering some of the very common questions. Programmers often aren’t sure if they can be freelancers or not. So, if you aren’t very good at programming, or if it isn’t something you love doing, you can still be a freelancer. When you are starting out, there will always be confusion about if you can be a freelancer or not. If you are a programmer, you can be a freelancer. I can be so sure of this is because if I can be a freelancer, anybody can be. If you are a web developer, it is an added advantage. But if you aren’t a web developer, PHP is not a very difficult language for any programmer with basic knowledge of programming. If you are not a programmer, it is even better. Here are some of the highly paid skills of the freelancing world. BTW web development is not at the top. Writers – Various sources confirm writers are the highest paid among freelancers. Translators – Next to writers are translators. A very specific skill set is needed and knowing more than one language is a must for a translator. Mobile Developers – Mobile (iOS and Android) development is quite on the rise. If you can develop apps for mobile, you can grab a lot of work. SEO Experts – SEO experts aren’t as highly paid as it may seem. Videographers – If you can shoot videos, you can be a freelancer by shooting videos and sell them on sites like Pond5. And the list can go on and on. The underline point is that you don’t need to know programming to be a freelancer. I will not bore you with my story and keep it really short. My first job was in Visual Basic development. As I was more inclined towards the web then, I started to look for a web related job. The second job was as an SEO in a small company but I started to get the feeling “No this is not the kind of work I prefer doing”. So I started to look for a job in C++ programming and that too in an MNC. C++ was my favorite language from college days. The third job was a C++ job in an MNC. Pretty much what I thought I wanted. This is when I started to feel I have no more reasons to switch. I got bored with my job and this is when I decided I will work more towards building my own business online than working for others. Finally in 2008, after a couple of years of deciding whether or not to quit my job, I actually did it. If you are doing a job and want to be a freelancer, here are the answer to some of the questions you may have. I Work in an MNC, Am I Eligible for Freelancing? Should I Become a Full-time Freelancer or Continue Job? Is Freelancing a Possible Career? If you have more questions feel free to drop them in my Ask Me Anything section and I will be more than happy to answer them all. There are too many doubts in the minds of a developer when they wish to be a self-employed freelancer. The doubts normally arises from the people you interact with. At times even when you have a casual conversation with your friends, they can say things that can discourage you to be a freelancer. People will often comment about how hard it is to be a freelancer in India and it often comes from a person who knows nothing about freelancing. Or a comment on the pricing pressure in freelancing sites comes from the person who has never won a single project from such websites. Or on the type of projects or how it isn’t worth the time because of so many payment issues from people who see the things from outside. Such commenters list is endless. The short answer to them is, if I can quit my job in 2008 and get enough clients from the US in the worst possible time for the US economy, anybody at any point of time can do it. So here is some piece of advice to help you get started to think like a freelancer. How to Overcome the Fear of Getting Started As Freelancer? – I have experienced the stage of being fearful. So let me share the common fear of developers who wish to be freelancers and how to overcome such fears. 11 Things Every Freelancer Needs to Embrace Before Willing to Freelance – Freelancing may not be for everybody. Still, it may be worth a try if you can embrace these changes in your life as a freelancer. As A Fresher Developer Willing to Be Freelancer What Programming Languages Should I Learn in 2017? – Emerging trends in the web and app development space should be considered when you want to learn something new as a fresher, developer and freelancer. 15 Struggles of Developer Freelancers When Getting Started with Freelancing – I share the struggles I experienced as a freelancer when I wanted to quit my high paying job in an MNC to become a freelancer and when I started doing freelancing. Freelancing is more about making up your mind to be a freelancer. Once you have made up your mind, the next step is to get the ball rolling. Remember, the first step is important because it builds your confidence as a freelancer. If you can take the right first step, it can make the difference between hell and heaven. Here is the Guide for New Freelancers to Find Their First Client. The process is so simple that anyone, with a little effort, can get his first few clients very easily and then use these as a sample showcase onto the freelancing websites. Your first project will be tough because you have to experiment with a few options. Elance always worked for me and now that Elance has become Upwork, it is working really well for me. Remember the important aspect is not to focus too much on what you would be paid and how much profit you would make but to work on getting your first job and being able to deliver it completely from start to finish. Upwork isn’t the only freelancing website to find clients on. Here is a list of some of the other best freelancing sites that you can also refer to. I only use Upwork but if I would have to choose one other website to find clients for me, it has to be PeoplePerHour. Here is the Proposal Template I would have used for PeoplePerHour Clients. Using Local Events to Find Long-Term Clients – We waste hours and hours of valuable time on social media and yet when it comes to meeting clients in person, it is considered as “too time consuming”. Blogging an Effective Way to build an Additional Source of Clients – As a new freelancer and blogger, don’t take the blog as the main source of clients but work towards building it up over time as an additional source of clients. Using Social Media Marketing to Get Clients – Social media marketing for meme website that aims to drive a lot of traffic for ad views is different than a freelancer marketing their services to clients. Finally, it isn’t about the number of clients but about how many of them are willing to pay you top dollars. Here is my article about 4 of the top source of high paying clients and about how I make sure I keep on getting high paying clients from these sources. Once you have delivered your first project, the next thing you should be doing is asking for honest feedback and review. If you did well, ask the client for a reference. This can help you build a recurring source of clients. Client reference is one of the best sources of clients for me. If you did not do very well, do some additional work without charging anything to the client, just to make him feel happy about working with you. Now things will become simpler. Rinse and repeat what you just did. Here are few of my best articles on being a better freelancer. Join the freelancing tribe and be a successful freelancer. And connect with me and other over 10,000 amazing freelancers on Facebook. You can get in touch with me here via contact form or on twitter @imtipsco. I love interacting with my blog readers.